Pet Sitters International's survey of more than 1,000 pet owners indicates pet-friendly policies are considered a benefit by pet-owning employees. 78 percent of responding pet owners considered a pet-friendly policy an employee benefit. 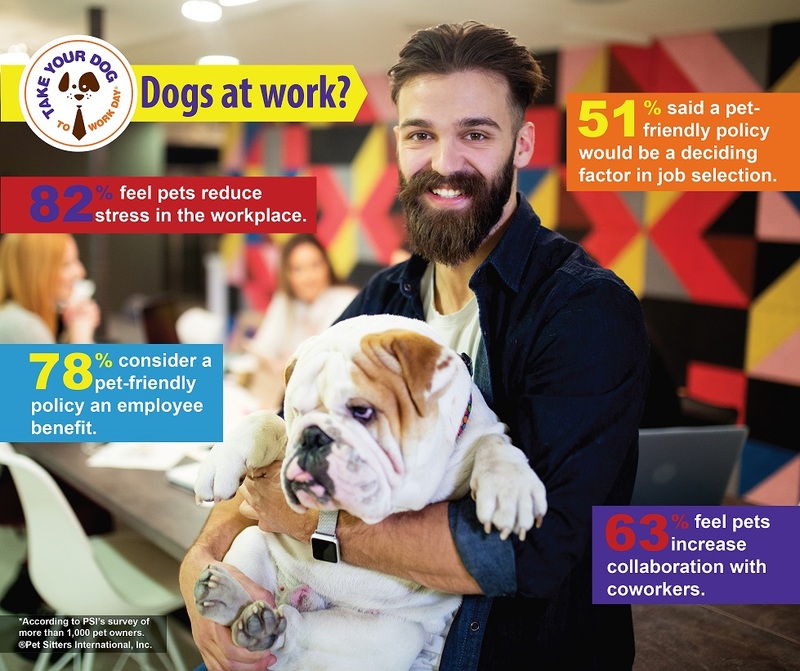 A new survey by Pet Sitters International (PSI) indicates that pet-friendly workplace policies are considered a benefit by pet-owning employees. These employees also feel that pets have a positive impact on the work environment. PSI, the world’s largest educational association for professional pet sitters and creator of Take Your Dog To Work Day®, surveyed more than 1,000 pet owners on pet-friendly workplace policies and benefits. 78 percent of the responding pet owners considered a pet-friendly policy an employee benefit. 82 percent indicated they felt pets help reduce stress in the workplace. 63 percent indicated they felt pets in the workplace would increase interaction and collaboration between co-workers. Additionally, 51 percent of the pet owners said that if choosing between two potential employers (equal on all other accounts), a pet-friendly policy would be a deciding factor. PSI created Take Your Dog To Work Day® in 1999 as a unique way to give back to the pet community. The event, which is always held the Friday following Father’s Day, encourages employers to allow dogs in the workplace for a fun summer Friday to celebrate the great companions dogs make and promote their adoptions. 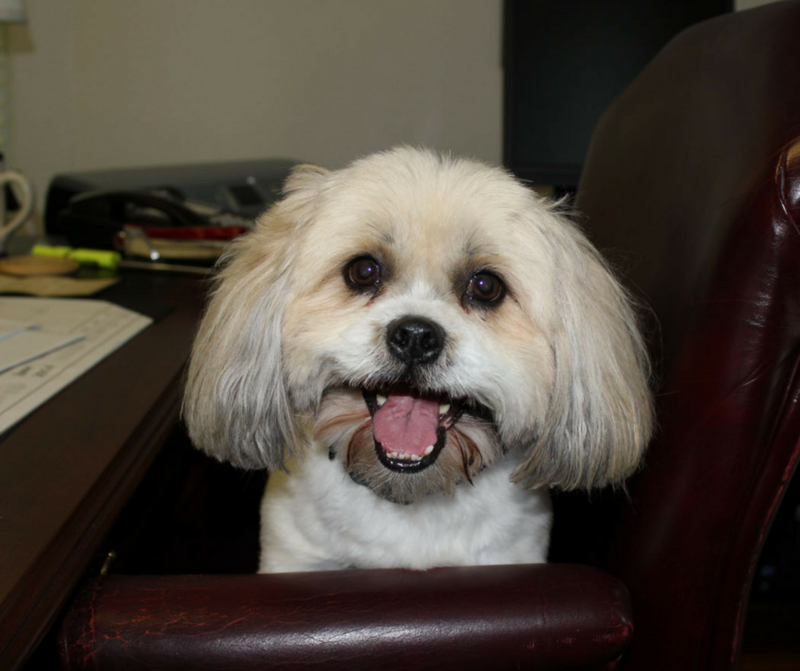 Friday, June 22, marks the 20th annual Take Your Dog To Work Day®. “Many companies are unable to have year-round pet-friendly policies, but incorporating this one fun day into the annual calendar is a way to boost employee morale and make a difference in the lives of pets in need of forever homes,” added Moran. Companies interested in participating are encouraged to download the free event toolkit at petsit.com/toolkit. To learn more about the event, event history, its creator and 2018 sponsors, visit petsit.com/takeyourdog. About Pet Sitters International: Founded in 1994 by Patti J. Moran, author of Pet Sitting for Profit, Pet Sitters International (PSI) is the world’s largest educational association for professional pet sitters, with member pet-sitting businesses in the United States, Canada and more than 20 other countries. PSI created Take Your Dog To Work Day® in 1999 to celebrate the great companions dogs make and promote their adoptions. PSI’s Pet Sitter Locator is the largest online directory of professional pet sitters, and pet owners can visit petsit.com/locate to find local professional pet sitters.